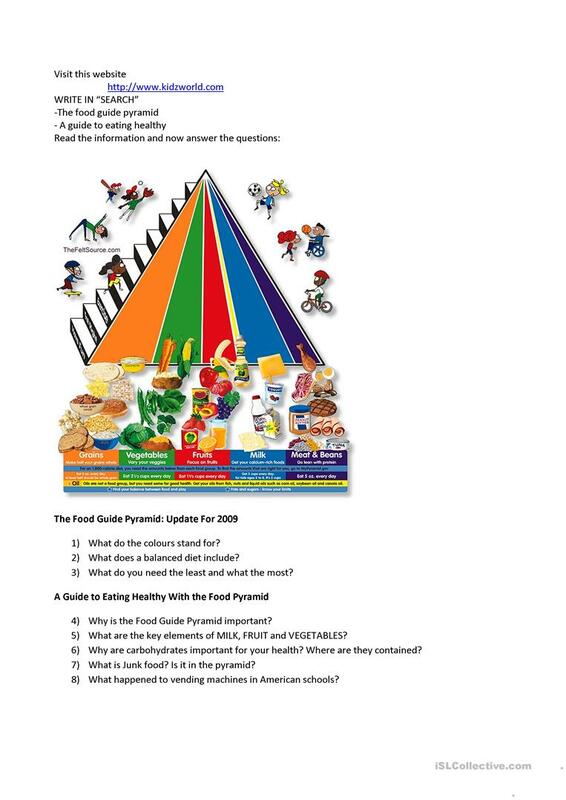 Read a document on a kids' website about how to keep healthy and eat well. The above downloadable worksheet is intended for high school students and elementary school students at Beginner (pre-A1), Elementary (A1) and Pre-intermediate (A2) level. It is valuable for practising Present simple tense in English, and is a valuable material for improving your pupils' Reading and Writing skills. It is focused on the theme of Food. serenatanchella is from/lives in Italy and has been a member of iSLCollective since 2013-01-08 15:46:14. serenatanchella last logged in on 2017-04-06 16:38:04, and has shared 1 resources on iSLCollective so far.